If you haven’t heard, the former Sheila’s Hair is now under new ownership, and has a new name ‘Rock n’ Beauty’! Meet Alesia Martin at the location at 1000 Buchanan Blvd, #2 here in Boulder City. 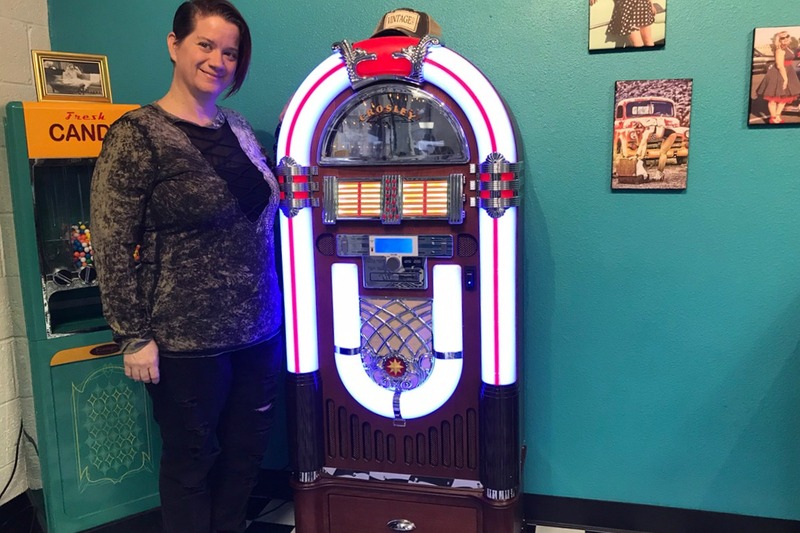 She’s remodeled the joint in a fun new ‘rockabilly’ theme full of vintage love of the 50’s. Better than that though, is her passion for her work – which we do have to say looks to be extra special! Sheila is still a stylist there, and the transition has all taken place with them together working as a team. Alesia says she never thought she’d be a stylist, but her love of color attracted her to the industry. So she went to school, graduating early and then just worked her tail off with the goal of owning her own salon. Serendipity intervened when she and Sheila met one day, and the rest you know! They cut hair for men, women as well as youngsters. Alesia handles cut, colors and specialty and event styling and makeup, and Sheila continues with her regular clients and does cuts and perms. They also have nail service who can do super fun artistic designs as well. Standard hours are Tuesday – Friday, from 9am – 6pm, however after hour appointments are more than welcomed! Alesia says they also plan to expand the larger back room area into a boutique and a private room for other esthetic appointments down the way, too. They’ve got their Grand Opening party and Ribbon Cutting on January 29th, so come on down that evening at 6pm. Call them at (702) 883-6375 for questions or to make an appointment!